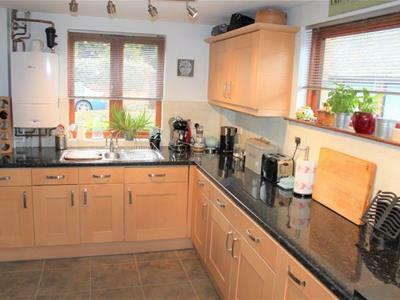 GROUND FLOOR, feature high Entrance Porch, split-level Hall with galleried landing over, Sitting Room, separate Dining Room, and modern fitted Breakfast Kitchen with range of integrated appliances. 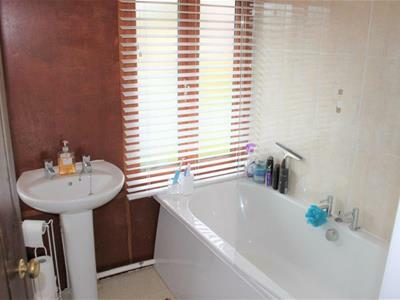 FIRST FLOOR, feature landing, main landing, two Double Bedrooms, and modern Bathroom with shower. 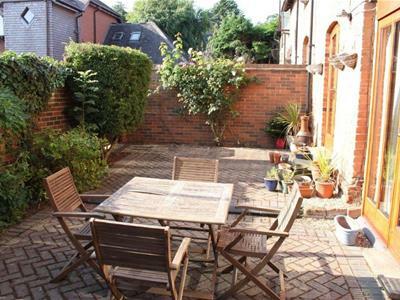 OUTSIDE, front garden, car standing space, detached Single Garage, and enclosed cottage-style rear garden. EPC D (2011), COUNCIL TAX BAND D (2018/2019). 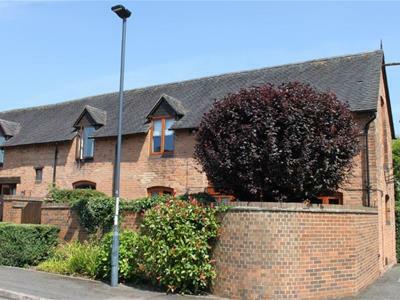 We understand the name Uffa Magna dates back from the Doomsday Book, recording that the area now known as Mickleover was once known as Uffra Magna, which was later changed to Uffa Magna. This particular, small select, innovative development of only ten properties, was constructed in the 1980's being either barn conversions or new-build, and all of a pleasing and individual cottage-style. 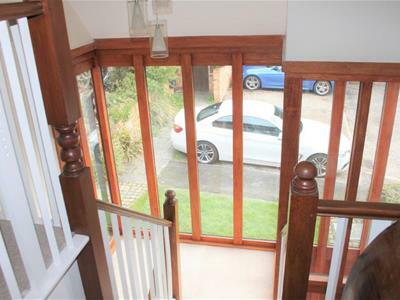 The subject property is semi-detached and boasting many pleasing features to include the high entrance porch, the split-level hall, and feature landing with high bay window. 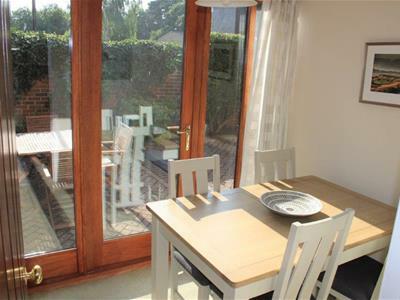 This property really does require internal inspection to be fully appreciated, with the accommodation approached via the entrance porch to the entrance hall, with two reception rooms, and refitted kitchen to the ground floor, and to the first floor two landings, two double bedrooms, and a modern bathroom. 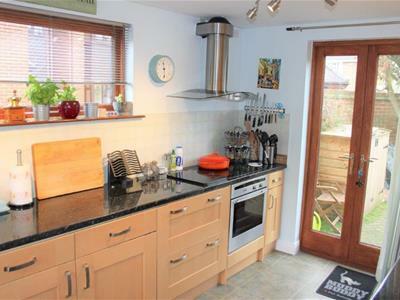 Outside, the property benefits from a front garden with single car standing space, separate single garage, and enclosed rear cottage-style garden. The small, select development of Uffa Magna is situated within Mickleover Village Conservation Area, and is literally within minutes of fairly flat-walking distance of Mickleover centre and an excellent range of amenities, together with regular bus services to Derby city centre and the Royal Derby Hospital. 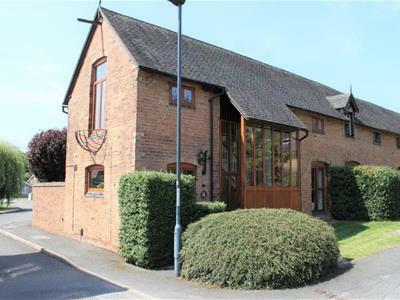 The property also benefits from being within minutes driving distance of the A38 and A50 for commuting further afield, yet is also within minutes walking distance of open countryside. When leaving Derby city centre by vehicle, proceed on the Uttoxeter Road towards Mickleover, and on reaching the traffic island at the Royal Derby Hospital continue straight across still on Uttoxeter Road and onwards into Mickleover centre, proceeding through the centre before turning left immediately before the second traffic island, into Hedingham Way and immediately left into Uffa Magna. Having feature galleried landing over, high double glazed windows, central heating radiator, and understairs store with electric light. 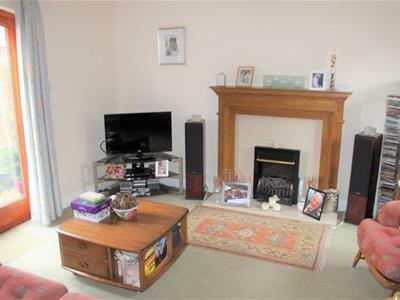 Having double glazed window to the front, double glazed double French doors to the garden, attractive oak-effect fire surround with marble hearth and fitted electric coal-effect fire, central heating radiator, TV point, and exposed central ceiling beam. 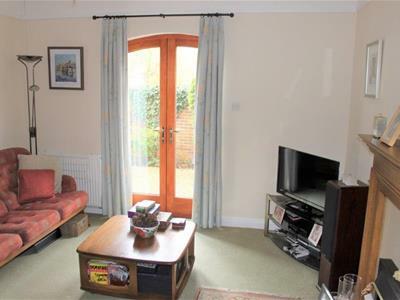 Having double glazed French door and side window, and central heating radiator. Having modern beech-effect fitments comprising; one double base unit, three single base units, drawers, one double wall unit, two single wall units, and one double wall unit with glazed doors for display purposes, together with integrated Neff ceramic electric hob with AEG stainless steel and glass canopy over incorporating extractor hood and light, integrated stainless steel electric oven, integrated fridge, integrated freezer, integrated washing machine, plumbing for dishwasher, one-and-a-half bowl stainless steel sink unit with single drainer, ample work surface areas with tiled splashback and matching breakfast bar, central heating radiator, double glazed windows to the front and side, double glazed double French doors to the rear garden, and modern wall-mounted gas-fired Worcester combination boiler providing domestic hot water and central heating. 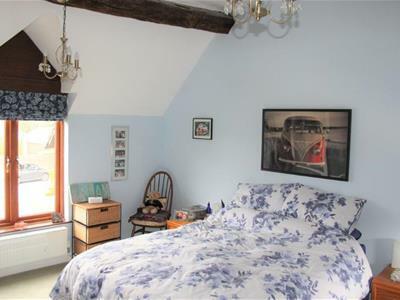 Having a full-height square bay window leading to the half-landing and then the main landing, with feature pitched ceiling and exposed beams, central heating radiator, built-in linen/store cupboard, and access to the loft space. Having feature pitched ceiling with exposed timber purlins, double glazed windows to the front and rear, and two central heating radiators. 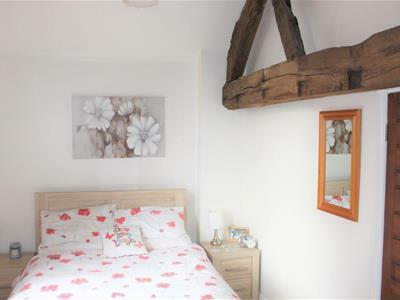 Having feature exposed timber trusses and beams to the ceiling, double glazed windows to the front and side, and central heating radiator. Having modern white suite and chrome-effect fitments, comprising low-level WC, pedestal wash hand basin, and panelled bath with Triton electric shower unit (which we understand was installed in 2016), together with glazed shower screen to the side, two double glazed windows, part-tiled walls, pitched ceiling with exposed beam, and heated chrome towel rail. Having lawn, and single car standing space. Of brick construction, having up-and-over door to the front. 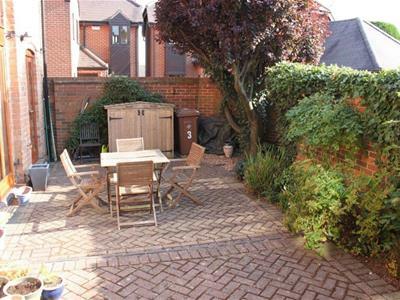 Pleasant cottage-style rear garden, enclosed by brick walling for privacy, having extensive block paving for easy maintenance, shrub and flower borders, and gate to the rear. 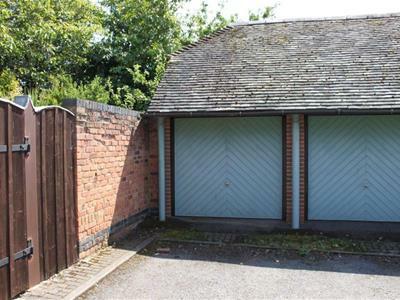 We understand the property is held freehold, with vacant possession provided upon completion. From enquiries of the VOA Website, we understand that the property currently falls within council tax band D, with Derby City Council. However, we would recommend any prospective purchasers make their own enquiries with the local authority. If you are not buying one of our properties, but need a survey or valuation, please contact our offices for further information and advice on 01332 296396. We offer a range of surveys and valuations to cover all house types.